Dubai: Expats from the South Indian state of Kerala will soon receive free legal aid through Malayali lawyers in the UAE empanelled by their government. Norka-Roots, a public sector undertaking under Non-Resident Keralites’ Affairs Department (Norka) of the Kerala government, will appoint these lawyers under the “Pravasi [Expat] Legal Aid Cell (PLAC),” a top official said. 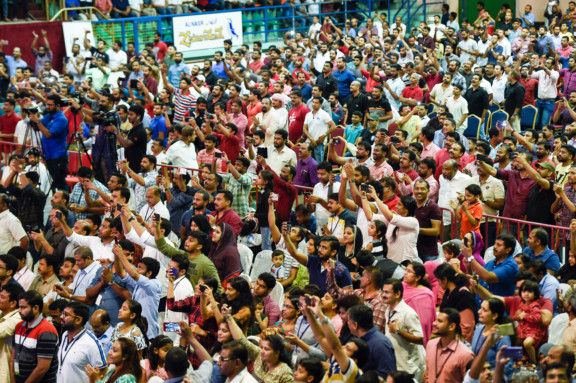 The services of the PLAC will be initially offered to Malayali expats in the GCC and some other Middle Eastern countries, said Harikrishnan Namboothiri, CEO of Norka Roots. Depending on the size of the Malayali population, the number of liaison officers will be different. “For the UAE and Saudi we will have five or more,” said Namboothiri. The department, through a special committee, has invited applications from Malayali lawyers with experience of practising law both in Kerala and their country of residence. They should also know both Malayalam and the local language in their place of residence. In the absence of proper and timely assistance from legal consultants, he said, many Keralite expats continue to face problems abroad, even though they may be having petty cases. Once Norka receives request for legal aid, he said, it will be taking the view of reputed associations to check the authenticity and credibility of the applicant. Norka will ensure consular assistance to those facing issues related to passport, visa and employment which will be taken up by the liaison officers, who will be given honorarium by Norka. The liaison officers will not accept request for legal aid in criminal offences, he clarified. The PLAC will, however, handle issues related to convictions, imprisonment and medical treatment of prisoners etc. The last day for sending in application of legal liaison officers is December 17. Once the liaison officers are appointed, the PLAC project will be rolled out with the support of Indian missions, said Namboothiri. With PLAC, the government is further boosting the welfare measures extended to NRKs, he said. The Karunyam scheme extends financial assistance to legal heirs of NRKs for repatriation of dead bodies in exceptional cases of extreme financial distress. An amount of Rs50,000 (Dh2,577) will be refunded to the bereaved family for repatriation from abroad and Rs15,000 (Dh773) from other Indian states. The Santhwana scheme offers financial assistance to NRKs who have returned home in distress or their dependent family members in four categories such as: financial assistance to meet the medical treatment expenses of the NRK or his dependent family members; death assistance to family members of the NRK; marriage expenses of daughter of the NRK returnee; and to buy artificial limbs, crutches, wheelchair or other aids to overcome the physical disability. Namboothiri said the government has disbursed almost Rs15 crores (Dh77.3 million) under this scheme. In July, the government had also launched a free ambulance service for transporting the bodies of expats to their homes and NRK patients to hospitals.